On July 25th and 29th, the APO Chamber Orchestra will be providing two concerts of great classical music. The first concert, on Friday, July 25, at 7:30 PM will be held at UNM's Keller Hall, and will feature David Felberg, conductor and Joel Scott, horn soloist. On the program is Respighi's Ancient Airs and Dances Suite #3, Mozart's Concerto No 3 for Horn, and also his Gran Partita in B flat. This last piece was featured prominently in the movie Amadeus in the scene where Salieri first encounters the adult Mozart. Regarding the horn concerto, Joel is a tremendous horn player who has played with the APO for many years both as an orchestral musician but also in various chamber ensembles. You might have even caught his playing in the NMSO. Don't miss this one! The second concert will be on Sunday, July 27th at 2:00 PM at the African-American Cultural Center on the Expo NM grounds (Fairgrounds)and features David Felberg, conductor, Jacqueline Zander-Wall, mezzo-soprano and Karl Winkler (me), viola. On the program is Bach's Orchestral Suite No. 3 (includes the famous "Air"), Hindemith's Trauermusik for solo viola and Strings, Bach's Brandenburg Concerto No. 3 and his Cantata BWV 170 Vergnugte Ruh, beliebte Seelenlust. 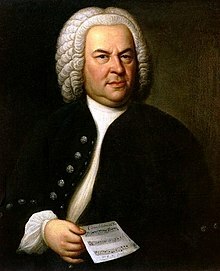 This is some great music, especially if you love Bach. The inclusion of the Hindemith is due to the last part being based around a Bach chorale. And for those of you who have already heard Jacqueline Zander-Wall (such as in the Habanera from Carmen at our Opera concert earlier this year) you already know what a great singer she is. For those who have never heard her, you're in for a treat!